Weeks ago, my friends asked me about computer games or applications that I would recommend for children. Without using any searching engine, I do have my favourite ones, as an educator and parent. Usually, our children ask for the iPad to see a movie or cartoons. I do my best to distract their focus so I created a “Special Play” folder, that is designed only for gifted children who want to experiment the ultimate games. If you have children, you know what I mean. When they ask for the iPad to play, we mirror it on a big TV screen. Interesting enough, they take turns, encourage each other and compare their results. After 20 minutes, my son would be sweating like a marathon runner and my daughter would run to the kitchen, screaming for water. Stimulate your brain with physical movement to enhance its activity. I enjoy seeing my son hopping on the waveboard every morning. The school encourages this practice by providing students with a special park. Extensive research about the connection between the phsysical activity and the brain can be found here. 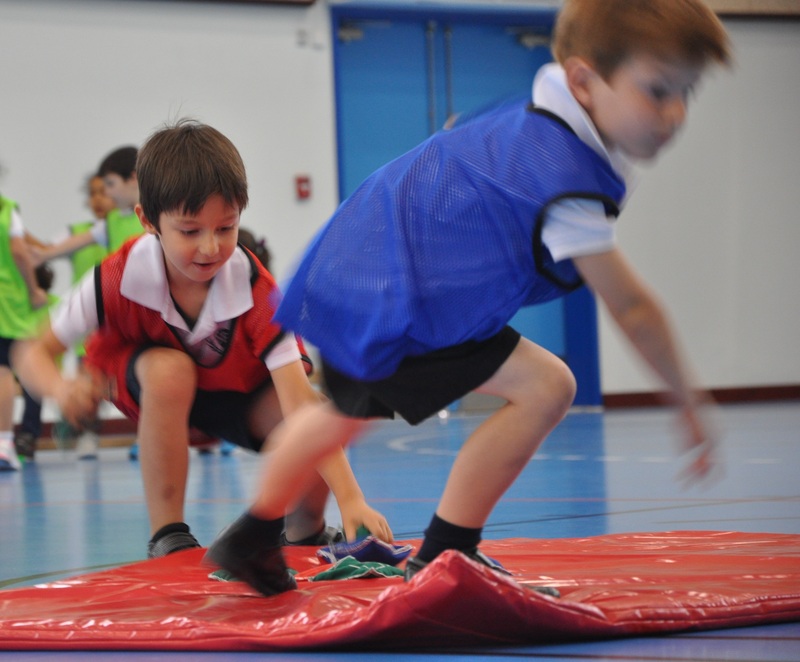 Fit’n’Wit Kidz’ is a program designed and planned as an entertaining fitness activity focusing to offer a better understanding of living a healthy lifestyle by students and parents. Fit’n’Wit Kidz. Physical. Education. Fun. ‘Fit’n’Wit Kidz’ is an activity where we practice basic movement skills and co-operative games with a high dose of fun. This is a personal project that started seven years ago in my previous school. Together with my wife we are continuing to enjoy this activities and absorb the students’ energy every week. During exercise we stimulate the brain plasticity by generating the growth of new connections between the brain cells.Our brain produces new neuronal connections when we are physically active. The students are more alert, better able to pay attention, learn and remember new things immediately after doing physical exercise. Fit’n’Wit Kidz. Mental and Physical Exercise. We focus on learning experiences with both physical and mental components. It is well proven through extensive research that this type of approach has a higher impact on cognitive functioning over exercise or mental tasks alone. The best health workouts in the Fit’n’Wit Kidz club are those that integrate different parts of the brain such as coordination, rhythm and strategy. Have a look at the video and leave your thoughts below.